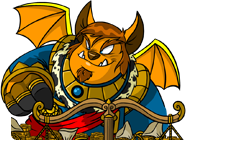 Random Events are one of the oldest, and most defining, features of Neopets. 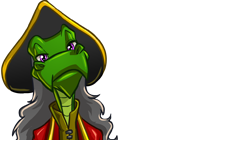 As the name implies, they are events that randomly happen while you're navigating the Neopets site. 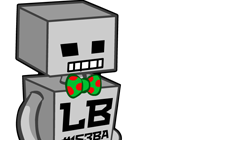 On March 19, 2014, a mysterious random event began popping up around Neopia, which eventually led us to meeting Dr. Landelbrot, who is in charge of maintaining the machine that generates random events in Neopia. 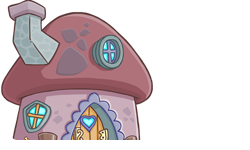 After Neopia helped him repair the machine, random events returned to Neopia... albeit updated to be shiny and new! To check out what Random Events used to look like, visit the Old Random Events guide. Most of the time, your Random Event will appear immediately at the top of the page. However, in some circumstances, it takes a little longer to load and some placeholder text "Something is happening..." will appear instead until the event is loaded. To find a particular event, try hitting CTRL + F on your keyboard to type in a key word. There are a lot to sort through! These events are completely separate from the "random" events you receive when completing a quest for Dr. Landelbrot. You can read more about his events on our Aboard the Coincidence guide. 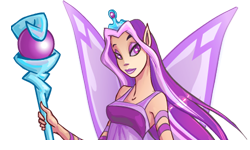 These are also separate from Faerie Quests which may appear randomly while on the site. 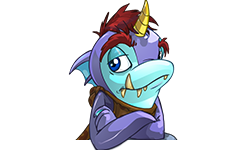 Note: Unlike previous Random Events, it is no longer possible for an event to reduce your on hand Neopoints to a negative figure. 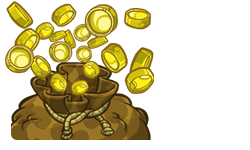 If you have less Neopoints on hand than a RE would otherwise take, it will instead take all of your on hand Neopoints. 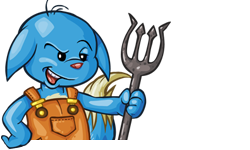 A blue Kacheek in overalls walks up to you and boy does he smell. *Whew* He says, "Hey you might find some exciting stuff in my Rubbish Dump located in Meri Acres!" A blue Shoyru zooms down from the sky and lands nearby! Wheeee!!! A Blumaroo bounces past and says, "Never ever give out your password!" A chill runs up your spine and you feel someone behind you. Thankfully, it's just Jacko the Phantom painter here to give you ITEM NAME. 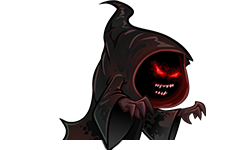 He quickly fades away, and you decide to focus on your new item so you don't get the creeps. Effect: A r101 Paint Brush is added to your inventory. 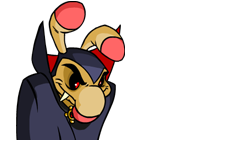 A draik flies past overhead, he is headed to Mystery Island. 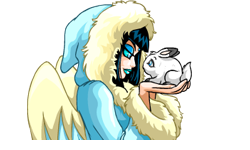 A faerie offers you an ice negg. "Take this ITEM NAME! 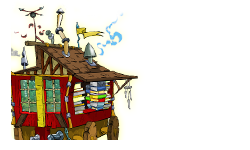 Be sure to visit the Neggery for all your neggy needs!" Effect: A random ice negg is added to your inventory. 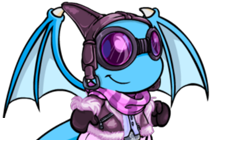 A fashionable Acara gives PET NAME a gift of 50 NC and says, "fashion is for everyone, darling!" Effect: 50 NC is added to your account. 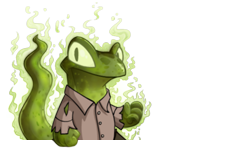 A freshly-painted swamp gas Techo walks by. Ewww! 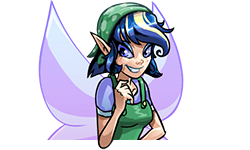 A friendly faerie passed by to give you a quest, but you're already on one so she flew away. Oh well. Maybe next time. Note: You can still receive this RE even if you're not on any quest. A fungus ball is sitting nearby on a log... and it EXPLODES! You get confused and drop X NP. Effect: Neopoints are taken from your on hand total (between 331 and 400 Neopoints). 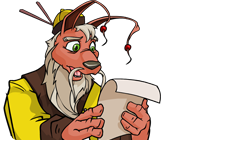 Note: If you receive this RE, please inform us regarding the quantity of NP lost, your on hand total at the time, and where on Neopets you got this RE! Effect: Neopoints are removed from your on hand total (between 304 and 560 Neopoints). A Ghost comes out of the ground and stares evilly at you. Effect: Neopoints are removed from your on hand total (between 420 and 896 Neopoints). 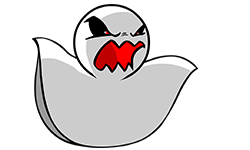 A Ghost rises out of the ground and says "BOO!" A Ghost takes X NP from you and puts it on the money tree! Effect: Neopoints are removed from your on hand total (between 512 and 798 Neopoints). A Ghostkerchief appears out of nowhere and approaches PET NAME! RUN AWAY! Wait... no. It just wants to be friends. 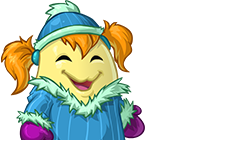 Looks like a new Petpet is going home with you. Effect: A Ghostkerchief is added to your inventory. A Gnorbu wanders past you. Suddenly, your feet feel cold. How odd. A green scorchio walks past and says, "I hope you're having fun!" A group of excited fans rush past you shouting "Chomby and the Fungus Balls" are playing tonight!!! 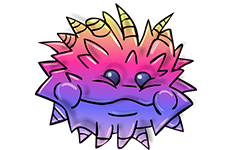 Effect: A Chomby and the Fungus Balls Ticket is added to your inventory. Note: This RE appears exclusively in Tyrannia. A mad cackle echos around you before Dr. Sloth appears! "The price for this ITEM NAME is merely your unquestioning loyalty." You take the potion. He didn't mean that, right? Effect: A Transmogrification Potion is added to your inventory. A passing Bruce says, "Apparently there is something going on at the top of the mountain!" Note: This RE appears exclusively on Terror Mountain. A passing Bruce says, "Fancy a snowball fight?" A passing Bruce says, "A passing Bruce says, "I used to be a game show host once. :("
A passing Bruce says, "Hi there!" A passing Bruce says, "Tally ho!" A passing zombie runs into you and doesn't even seem to notice. Once she's gone you realise she dropped a piece of a long lost treasure map! 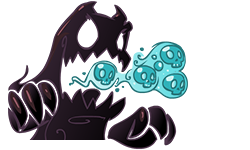 Effect: A piece of the Spooky Treasure Map is added to your inventory. A red Poogle hops past and and says "Hi!" A robot Tuskaninny flies past you on fire! Help! Help! Dr. Sloth is after me! A Schnelly scampers past you. You attempt to catch it, but it manages to evade you. Aww, shucks. A scorchio in a pointy, purple hat hands you the ITEM NAME and says, "This will be a nice addition to your album!" 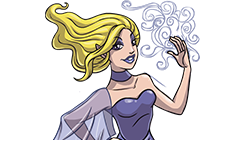 Effect: A r101-103 Trading Card is added to your inventory, which you may add to your album if you wish. A Shadow glides silently past, stealing all the joy from the world. 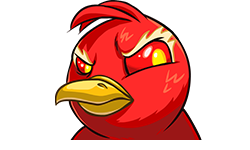 PET NAME doesn't look very happy anymore. Effect: Your pet's mood changes to 'depressed'. 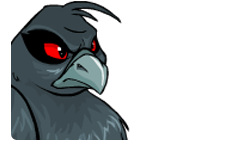 This RE can target any Neopet on your account. 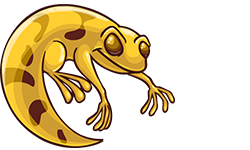 A slimy scamander slithers up to your foot and hisses at you! 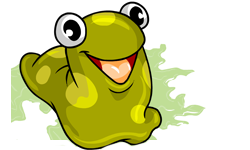 A Slorg wriggles by, leaving behind a slimy trail. Watch your step! 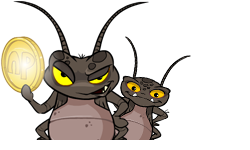 A smug bug sits here eating a Scabu. 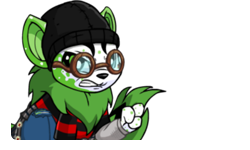 He says, "I'm going to eat all your Neopets food when you aren't looking!!!" 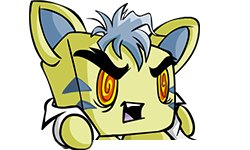 A speckled Xweetok runs up to you and says, "Xandra was right! Spread the word!" and runs off. A stray wraith appears and PET NAME stoops down to pet it. PET NAME now has DISEASE. What else did you expect? Effect: Your pet comes down with a disease. 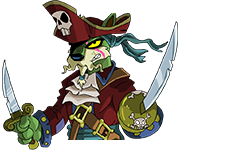 This RE can target any Neopet on your account. Effect: Your pet comes down with the disease Pollenitus. 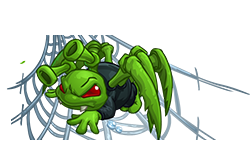 This RE can target any Neopet on your account. 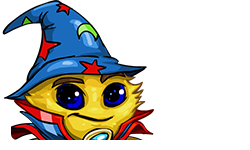 Adee the Chia says, "Did you know you can send Neopets to your friends?" 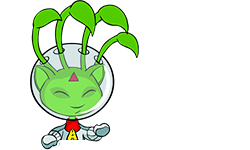 Adee the Chia says, "Did you know you can send postcards to friends?" 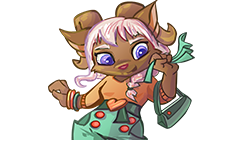 An Alien Aisha approaches and hands you ITEM NAME. Gross. Effect: A r20-89 Gross Food item is added to your inventory. 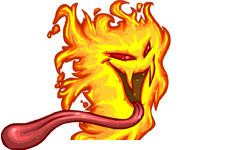 Effect: A r100 Nerkmid is added to your inventory. Effect: The page shakes like mad! An evil-looking coconut bounces off PET NAME's head! PET NAME is knocked senseless and loses a level! Effect: Your active pet's level decreases by 1. An old sea captain-turned-governor hands you a piece of a treasure map. "Keep hold of this," he whispers. "It's quite valuable." He then strolls away as if nothing had happened. Effect: A Piece of a treasure map is added to your inventory. Effect: The Down for Maintainance Pteri is unlocked as a Battledome Challenger. Bank error in your favour. Collect X NP. Effect: Neopoints are added to your on hand total (between 402 and 2,500 Neopoints). 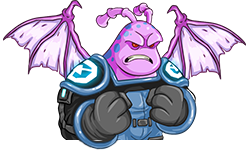 Boochi fires his ray gun at PET NAME, but thankfully he misses! Effect: Boochi is unlocked as a Battledome Challenger. 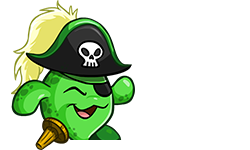 Captain Limebeard says, "Arrrgh! Yer not eatin' yer fruits an' vegetables! Ye better take this ITEM NAME b'fore ye get scurvy!" Effect: A r99 Chia Pop is added to your inventory. Clarence Chichester Coggeshale hands you this ITEM NAME and tells you it would be a smashing addition to any ensemble. Effect: A r62-98 item from Neovian Attire is added to your inventory. 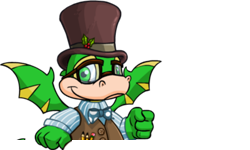 Congratulations, USERNAME, you just found X Neopoints! Effect: Neopoints are added to your on hand total (between 1,294 and 1,328 Neopoints). Did you know my name is pronounced "sell-ee-uh"? "Don't let the shore be forgotten!" The strange Krawk then hands you a Forgotten Shore Map Piece. Effect: Forgotten Shore Map Piece is added to your inventory. 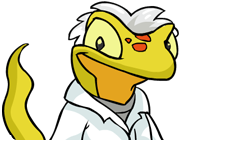 Dr. Sloth has his "associates" take 20% of your Neopoints away to support his next Neopian invasion effort. Effect: 20% of your on hand Neopoints are taken and you may be eligible for the Sloth's Invasion Tax hi-score table. Dr. Sloth looks down on you as he passes by. He then turns the corner out of sight. You're still alive, so that's something. Effect: Sloth! avatar is awarded. Gilly says, "Have I ever told you the Tale of Woe? It's ever so spooky. Come along..."
Effect: Bank interest is reset for the day and a Complimentary Virtupets Toaster is added to your inventory. Gordos the Collector sniffs and says, "That's a pathetic stamp album! Accept my charitable donation of ITEM NAME." Effect: A r92-98 stamp is added to your inventory, which you may add to your album if you wish. 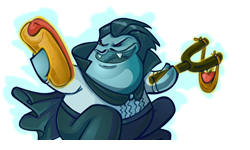 GRUNDO MUST NOT EAT NEOPETS!!! 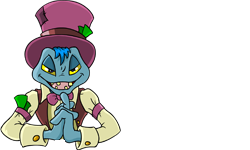 GRUNDO FETCH NEOPETS FOR MASTER! "Have you visited Krawk Island lately? ", Governor Gavril McGill asks. "You'd be amazed by what I've done with the place." "Here, have ITEM NAME," King Skarl says to you. You're surprised there was any food left over from his latest banquet, and even more surprised that he'd share, but you put it in your pocket anyway. 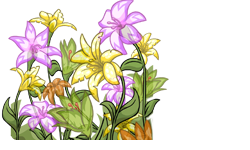 Effect: A r35-89 Medieval Food item is added to your inventory. Hrm... I'll let you play FLASH GAME three more times today. You'll need the practice if you want to be as good as me! Effect: A flash game you have already sent scores for 3 times will be reset. 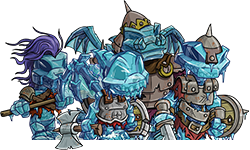 Icy Skeletons surround you and steal X NP! Effect: Neopoints are removed from your on hand total (between 101 and 825 Neopoints). If you like games and the NC Mall, perhaps give Shenanigifts a try! Illusen emerges from the woods and approaches you. "I had some spare Neopoints lying around so I thought you may like to have them." She leaves you with 10,000 NP! Effect: 10,000 Neopoints are added to your on hand total. Effect: Mortog images will race down the screen. Isca swims happily past you, singing to herself. Perhaps you should follow her. JarbJarb says, "Ugga ugg Tyranu Evavu." 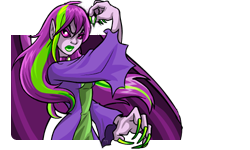 Jhudora appears in a flash of purple and green smoke and says, "Have you completed one of my quests, today?" King Skarl appears and orders his guards to collect X NP from you. Who knew there was such a thing as Marrow Tax?! Effect: 20% of your on hand Neopoints are taken. Lawyerbot says, "Ahh, there you are!" and tries to serve you with a subpoena. You quickly dash away... Whew, that was close! Looks like you could use some more training. Here, take these Codestones and visit me at the Training School. Good luck! Effect: 6 different normal Codestones are added to your inventory. Meuka slimes up and eats your ITEM NAME right out of your inventory! Good news though, it looks like he left you a lovely lump of Snot! Effect: An item is removed from your inventory and replaced with a Snot Burger, and the text on the page turns green. 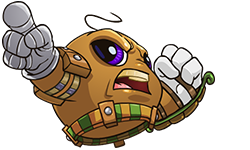 Meuka is also unlocked as a Battledome Challenger. *Motes of light surround you. 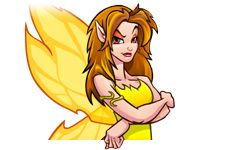 * You have received an invitation to visit Faerieland by Queen Fyora. What an honour! Maybe you will even see her there. 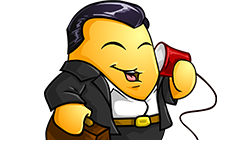 Nigel the Stockbroker Chia says "Have you considered investing in [STOCK TICKER]?" Not been paying your bills, eh? 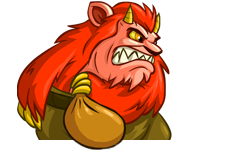 The ANGRY Tax Beast arrives and takes 25% of your Neopoints away... because he is ANGRY. 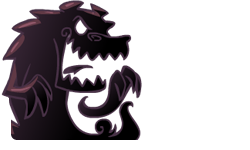 Effect: You lose 25% of your NP from your on hand total and you may be eligible for the Angry Tax Beast hi-score table. Not been paying your bills eh? 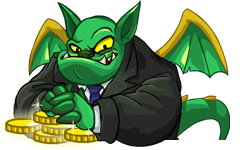 The Tax Beast arrives and takes 10% of your Neopoints away! Effect: You lose 10% of your NP from your on hand total and you may be eligible for the Tax Beast hi-score table. Oh, look! 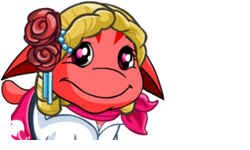 Jhudora appears and hands you a gift. That was ni- wait... Jhudora!? A gift?! Umm... are you sure you should have taken it? Effect: One of the following items is added to your inventory: Poison Jelly Eraser, Poison Snowball, Poisonous Snowflake, Poison Tipped Dagger, Poison Snowball Wand, Poison Muffin. Oh, no... PET NAME doesn't look so well. It looks like PET NAME has suddenly come down with a bad case of DISEASE! Oh no! 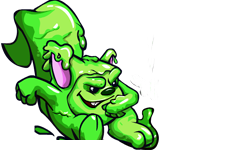 Boochi fires his ray gun and turns PET NAME into a Baby SPECIES! Note: This RE is only available when the perk Random Acts is in effect. Although the text says your Neopet was turned Baby, this does not actually happen. Ohhh, how cute. 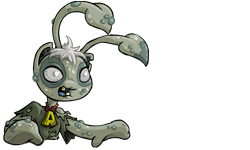 It seems one of your Petpets has got a Petpetpet in it's mouth. Wait a minute, that's just a leg! OUCH! 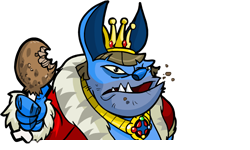 Count Von Roo appears in a puff of smoke and bites PET NAME on the neck! 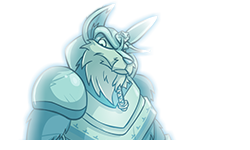 Effect: Your active pet loses 1 to 3 maximum hit points and Count Von Roo is unlocked as a Battledome Challenger. PET NAME is looking for a good home! 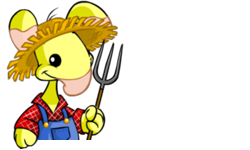 Why not adopt from the Neopian Pound? PET NAME loses X STAT and says: It's been so long since I trained I feel a bit slow/weak. Can I do some STAT training? 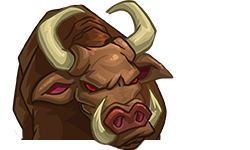 Effect: Your active pet loses between 1 and 2 maximum STAT points (Health, Level, Strength, Defence or Movement). PET NAME says, "Can we play hide and seek? That sounds like fun!" PET NAME says, "Ice Cream! Buy me some Ice Cream!" PET NAME says "I just wanted to say that you are the coolest owner!" PET NAME says, "I'm scared, there are so many horrible monsters out there!" PET NAME says, "I think it's time you fed me!!!" PET NAME says, "I want some more faeries! Find me some!" 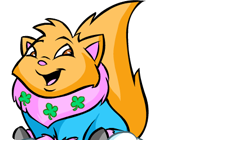 PET NAME says, "Mmmmmm I love Neopoints, I want to be the richest pet in Neopia!" 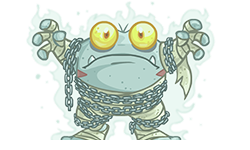 PET NAME says, "Protect me from the evil Swamp Ghoul, please!" PET NAME says, "*sigh* I want to play Meerca Chase!" PET NAME says, "You don't play with me enough. I am bored!" PET NAME says, "You will buy me lots of presents from the Grooming Parlor wont you?" PET NAME says, "You're the best! I am so lucky to have you in my life." 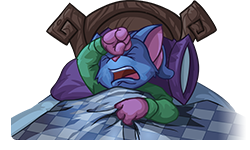 PET NAME sneezes so hard, that a hit point is permanently lost! Effect: Your active pet loses 1 maximum hit point. Effect: Your active pet loses 1, 2 or 4 intelligence. PET NAME's stomach is rumbling.... I think they would like some food! Plesio says, "Fancy spinning the Wheel of Mediocrity?" SLOTH FIRES HIS RAY GUN AT YOU!!! Your ITEM NAME is turned into a mound of sludge! Effect: An item is removed from your inventory and replaced with a Pile of Sludge. SNOWBALL ATTACK! PET NAME gets hit by a snowball from above and takes X damage! Effect: Your pet loses 3 hit points. Note: If you receive this RE, please inform us regarding the quantity of HP lost! Sssidney whispersss, "Sssoo... have you been to the Deserted Fairground lately?" Strong winds have caused substantial damage to your Neohome, which requires X NP for repairs. Effect: 20% of your Neopoints are removed from your on hand total. Somebody from high up throws a ITEM NAME at you! You pick it up and flee! 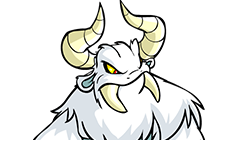 Effect: A random snowball is added to your inventory, and the Snow Beast is unlocked as a Battledome Challenger. Some members of the Pocket Change Redistribution Committee approach you and appropriate the X NP that you had in your pockets! Effect: 1% of your on hand total of Neopoints are taken. 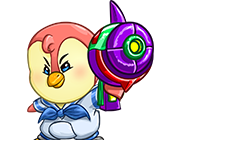 Effect: The Black Pteri is unlocked as Battledome Challenger. 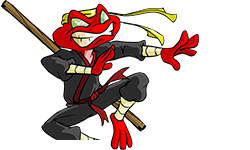 The Bug Brothers jump up and steal X NP!! 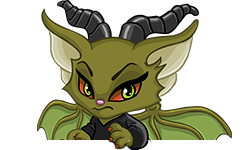 Effect: Neopoints are taken from your on hand total (between 609 and 684 Neopoints). 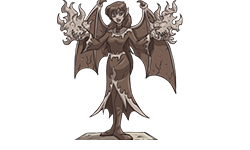 The Darkest Faerie Statue appears to be staring at you. You think it might be better to get as far away from it as possible... Can that much evil really be contained in a statue? The Emperor of Shenkuu is throwing a festival for his daughters. You pay 16.67% of your Neopoints to help fund the event. Effect: You lose 16.67% of your NP from your on hand total. 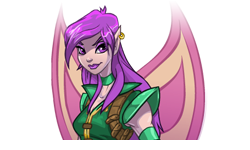 The Faerie Queen smiles as she flutters by you. She hands you a small ticket that reads: "Good for 10% off any one item in the Hidden Tower". Shopping Trip! Effect: On visiting the Hidden Tower, you will get a 10% discount on all items, this discount overrides loyal user perk and doesn't stack. Note: This RE was originally glitched, as you were informed of a 20% discount instead of the 10% discount you actually received. 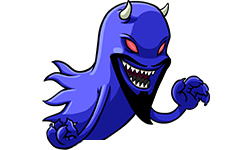 The Ghost Lupe growls "Begone! Leave this place!" The Ghost Lupe growls "BEWARE!!!" 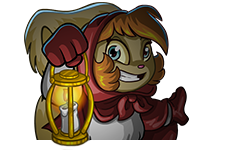 The Ghost Lupe growls, "Dont go to the Mystery Island!" 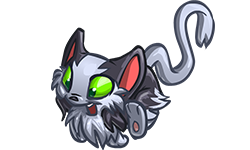 The Ghost Lupe growls "If you have a Chia, I'll be your best friend... they are so tasty"
The Ghost Lupe growls, "It's rumoured that neopets that go to Mystery Island never return!" 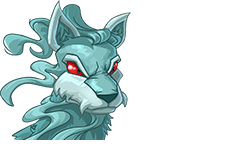 The Ghost Lupe growls, "My what tasty Neopets you have!" The Ghost Lupe appears suddenly and growls before disappearing again. 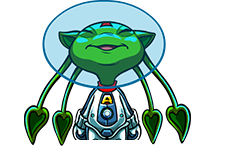 You realise all your Neopets are now at full health! 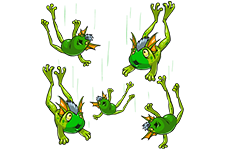 Effect: All Neopets are restored to full hit points. 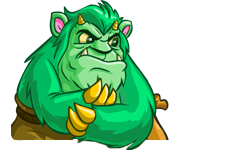 The Ghost Lupe growls "Did you know that Mystery Island is haunted?" 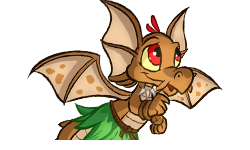 The Golden Pteri flies overhead, but none of your Neopets are Pteris so he just flies away. 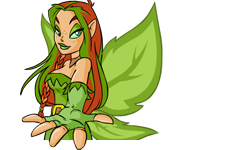 Note: Only available if none of your Neopets are Pteris. 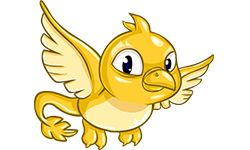 The Golden Pteri flies overhead and suddenly a rain of Neopoints fall down on you! You pick up X NP. He must like you. Effect: Neopoints are added to your on hand total (between 361 and 7,344 Neopoints). Note: Only available if any of your pets is a Pteri. If you receive this RE, please inform us regarding quantity of Neopoints you gained! 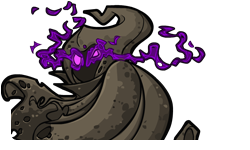 The ghost of Coltzan appears to tell you the secret of receiving a million Neopoints from his shrine. Unfortunately, he seems to have Kikoughela today. 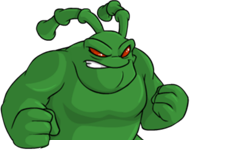 The Grundo Leader attacks!!! He steals ITEM NAME. Effect: An item is taken from your inventory. 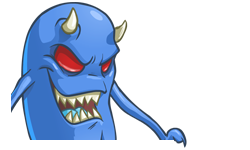 The ice devil attacks!!! He steals ITEM NAME. 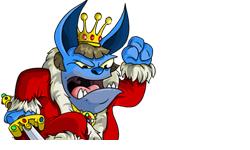 The incessant mewing of a Mutant Kadoatie drives you completely mad, and you give its owner X NP to take it away! Effect: Neopoints are removed from your on hand total (between 5,027 and 6,000 Neopoints). 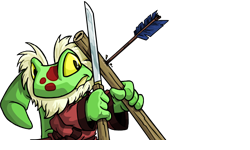 Note: This Random Event has been acting different lately, and may take more than 6,000 Neopoints. The Kiko Lake team is collecting donations so they can go to the Altador Cup this year. You donate ITEM NAME. How nice! 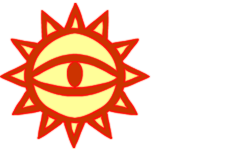 The Mark of Ta-Kutep burns in the sky. You flee in fear! The Monocerous roars, "Once I ate 16 JubJubs in a week!" The pant devil attacks! He jumps into your inventory and steals your ITEM NAME. CURSES!!! Effect: An item is removed from your inventory. The Pant Devil's evil twin hands you ITEM NAME, stolen from his brother. He flies away cackling madly. Effect: A r99 morphing potion is added to your inventory. Effect: Your gallery size increases by 5 (it has room for 25 more items). The Snow Faerie says, "All my sisters hate Terror Mountain, they say it's too cold. I love it here!" The Snow Faerie says, "I hope your pets wrap up warm." The Snow Faerie says, "I must get some more Ice Neggs for tea!" 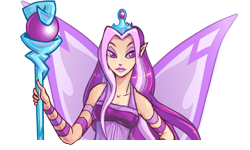 The Snow Faerie says, "I wish I could play Snow Wars as well as you. :("
The Snow Faerie says, "It's toasty warm in this coat!" The Snow Faerie says, "They say an evil old man lives in a castle at the top of the mountain... I don't believe them!" The Spider Grundo spins his web nearby... Best to move on, you wouldn't want to get caught in that. 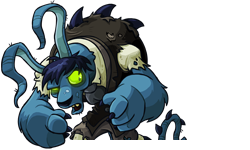 The Swamp Ghoul appears beside you and says, "You're never safe... not from the Swamp Ghoul!" 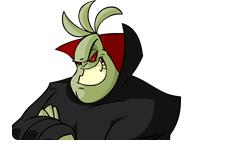 The Swamp Ghoul sneaks up behind you and says, "I will eat your Neopets for breakfast..." and then he floats away. The word of the day is 'WORD OF THE DAY'! Note: WORD OF THE DAY is the current one stated here. Vira suddenly appears before you. "There is no way you could best me in the Battledome", she sneers. Effect: Vira is unlocked as a Battledome Challenger. Was that... the ghost of Hubrid Nox? Your blood freezes in your veins and your heart shrinks. 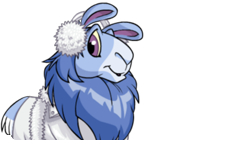 Your Neopet looks a little pale. Effect: Your active pet loses either 2, 3, or 5 maximum hit points. Watch out!! A Fire Faerie shoves you out of the way as a cloud from old Faerieland crashes to the ground. "What are ye lookin' at? ", a pirate demands. 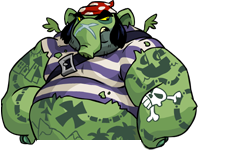 "Yer Neopoints or ye'll walk the plank!" You hastily hand over X NP. Effect: Neopoints are taken from your on hand total (between 1,009 and 1,939 Neopoints). What's this? 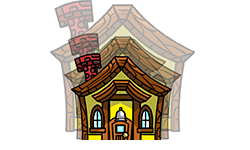 It seems you have found a piece of the Secret Petpet Laboratory Map! 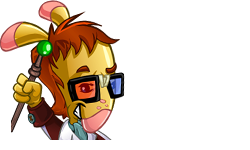 Effect: A piece of the Secret Petpet Laboratory Map is added to your inventory. What's this? It seems you have found a piece of the secret laboratory map! Effect: A piece of the Secret Laboratory Map is added to your inventory. What was that sound? Wait a minute... Your ITEM NAME is nowhere to be seen! Who could have taken it? 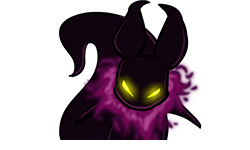 Effect: An item is removed from your inventory and the Shadow Usul is unlocked as a Battledome Challenger. While out for a stroll, PET NAME looks down and finds X NP on the ground. Today looks like a lucky day! Effect: Neopoints are added to your on hand total (between 4,519 and 50,000 Neopoints). While pondering the spelling of 'faerie' you trip and fall in a hole. You're unharmed, but boy, was that ever embarrassing! While you were admiring the Shimmery Seagrass, a Jawshell ate your ITEM NAME! Oh bother. Effect: An item is removed from your inventory and replaced with a Shimmery Seagrass. Whoa! PET NAME has suddenly gained a level! This is what happens after a balanced breakfast. At least that's what the Battle Faerie tells you. Effect: Your active pet's level increases by 1. Whoa! PET NAME has suddenly gotten stronger! This is what happens after a balanced breakfast. At least that's what the Battle Faerie tells you. Effect: Your active pet's strength increases by 1. Wow! 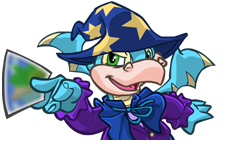 The ITEM NAME Collectable Card has magically found its way into your Neodeck! What luck. Effect: A r31-85 Collectable Card is automatically added to your Neodeck. Wow! You've found a Christmas Paint Brush in the snow! Finders keepers. Effect: A Christmas Paint Brush is added to your inventory. 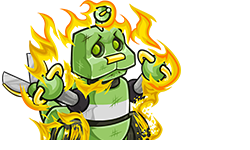 You feel a chill and a bit lighter... GAH, a ghost just stole X NP from you! 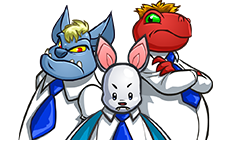 You get home from a long day at the employment centre to find that all of your Neopoints and items have been stolen, your Neopets are sick and your stocks have... *shudder* Oh thank Fyora! It was just a horrible, horrible dream. 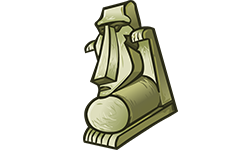 You happen across a mystical codestone and promptly pick it up. Time for training! Effect: A normal Codestone is added to your inventory. You happen upon a travelling library and are given a free copy of ITEM NAME. Enjoy! You have stumbled upon the great Ice Treasure of X NP! This discovery will surely make you famous. Effect: Neopoints are added to your on hand total (between 228 and 20,491 Neopoints). 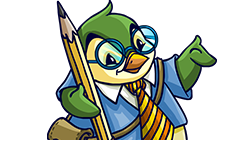 Note: If you receive this RE, please inform us regarding the quantity of Neopoints you gained, and where on Neopets you got this RE! You hear a jovial voice yelling to passersby. "Fortune cookies! Fresh fortune cookies at Noda's! Get them while they're hot!" 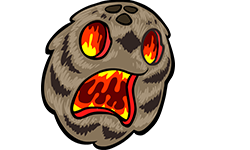 You hear a loud explosion before ITEM NAME falls out of the sky and into your lap. Effect: A red Codestone is added to your inventory. You hear mysterious chanting coming from far away! You hear the unsettling laughter of Captain Scarblade... It can't be good that he is that happy. "You look like you could use some luck!" He hands you a lottery ticket with the following numbers: X, X, X, X, X, X. "I hope you win!" Effect: You gain a lottery ticket. 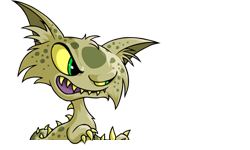 You notice a kind Kougra handing out free Collectable Cards! If only you had a Neodeck. You run into a friendly Gelert named Bruno. 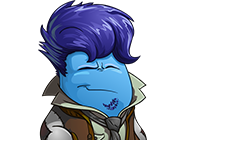 He offers you a taste of this awesome new potion he found on the ground. You politely decline. Effect: Your shop increases by 1 size. You spot Balthazar making a mad dash away from some pursuing faeries. In his haste, he drops ITEM NAME and you pick it up. Now... what do do with it? Effect: A Weak Bottled Faerie is added to your inventory.